The Car GuideNewsA Seven-passenger Honda CR-V Soon Available in Canada? A Seven-passenger Honda CR-V Soon Available in Canada? 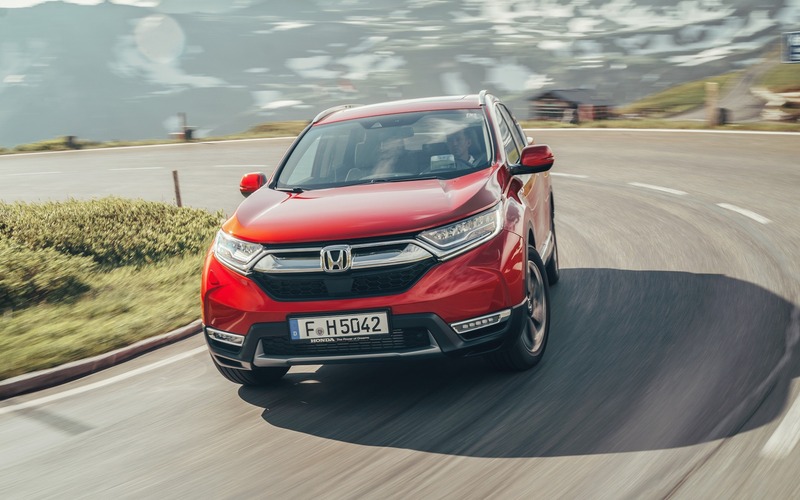 Through its global media website, Honda Motor Company has just announced that the latest generation of the CR-V SUV is now on sale in Japan, almost two years after its release in North America, and a few months after its European debut. In the Honda CR-V sold in Japan and in Europe, we find the company’s turbocharged, 1.5-litre four-cylinder engine that produces 190 horsepower in the Canadian version. However, the CR-V can also be equipped with a hybrid powertrain consisting of a 2.0-litre gasoline four-cylinder engine and an electric motor, matched to either a front-wheel or an all-wheel drivetrain. Honda promises a fuel economy average as low as 3.9 L/100 km in FWD guise. It would be surprising to see Honda offer this powertrain in Canada, which is called Sport Hybrid i-MMD, but let’s not forget that its arch-rival Toyota RAV4 is available with a hybrid variant. The Nissan Rogue also offers a hybrid powertrain on the U.S. market, but not on the Canadian one. Other interesting detail, the CR-V sold in other continents will also be available with a third-row seat in order to carry up to seven passengers. Will this seating configuration find its way onto the Canadian market? In the compact SUV segment, the Dodge Journey, the Hyundai Santa Fe, the Mitsubishi Outlander and the Nissan Rogue and the Volkswagen Tiguan are all offered with three rows of seats. And since the Honda CR-V has one of the most spacious cargo areas in its segment, it would only make sense to believe that its two rearmost seats would be more accommodating than those of its competitors. Will these two features be added for the 2019 Honda CR-V? Or the 2020 model? For the moment, Honda Canada has only stated that nothing has been officially announced yet.